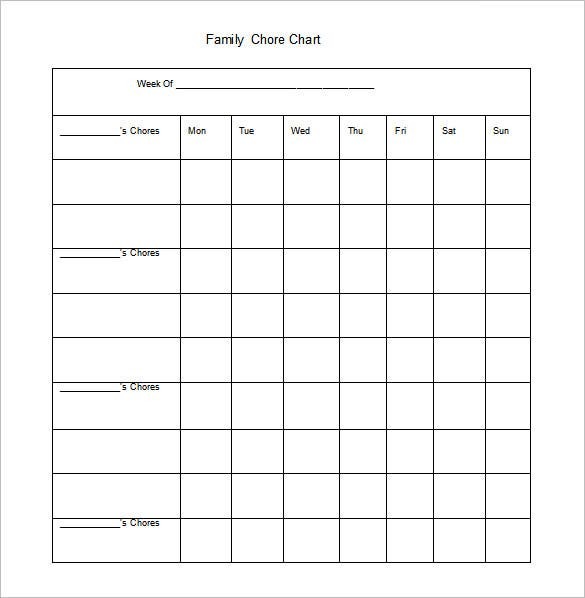 Just like it happens with organizations and companies, families need to plan out their activities so that everything in the home is organized. 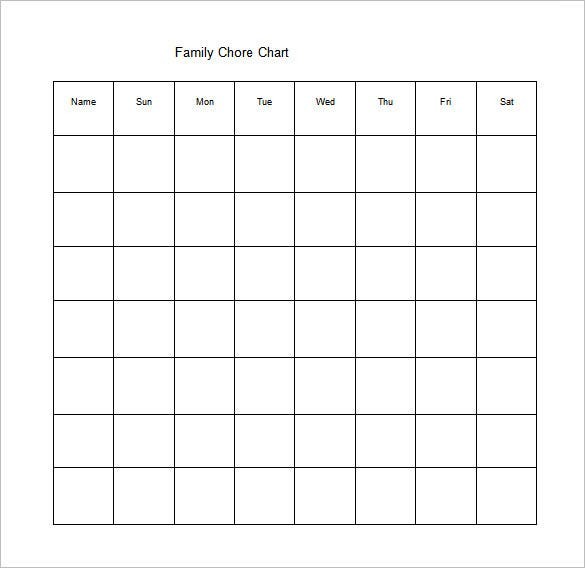 The chores of the members of the family are especially what need to be planned well in advance preferably listing them all out in the form of a chart.A sample family chore chart template is just that – a chart that has a detailed description of all the Chore Chart Templates of the members of the family. 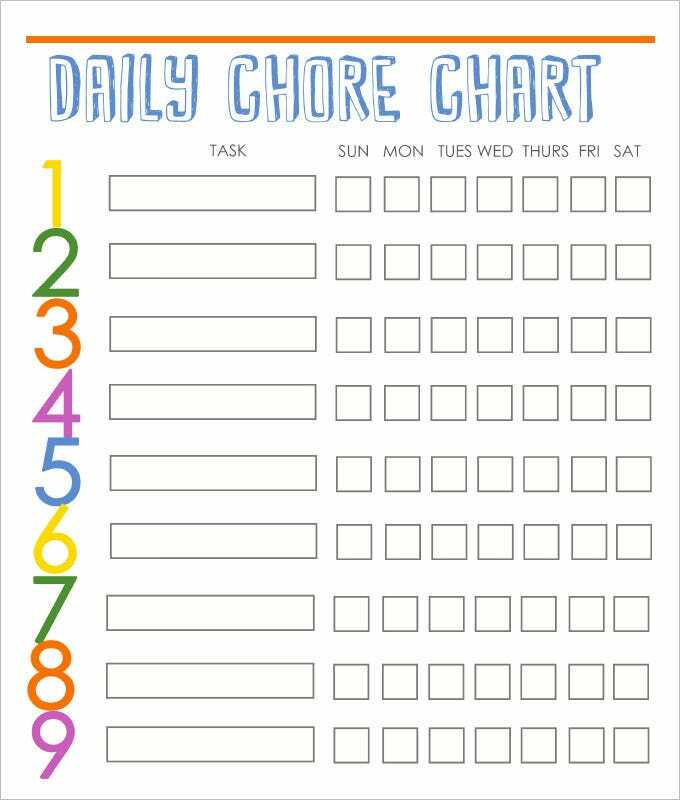 The age appropriate family chore chart is for family having kids of different age group. 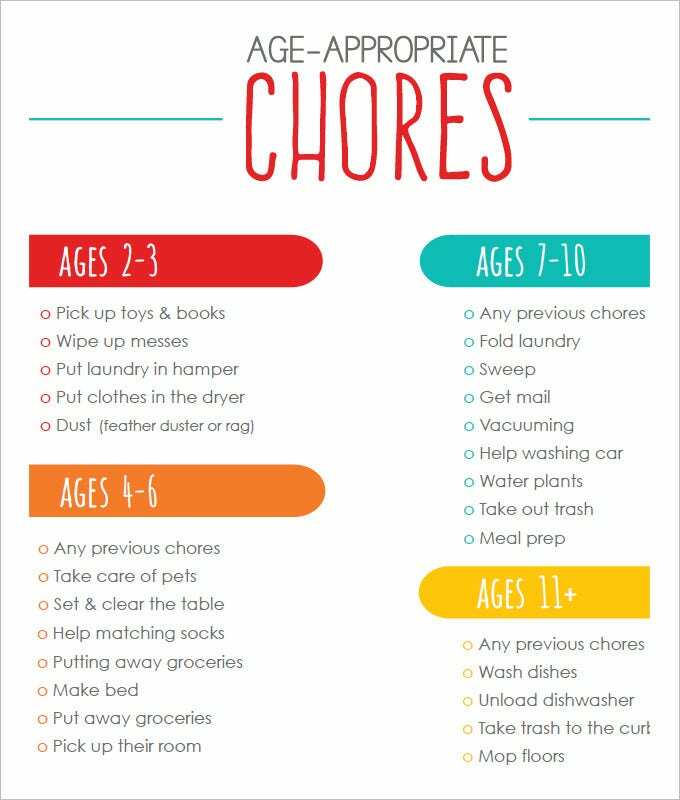 The chores are divided according to the age of the kids, to make it systematic and prioritized. 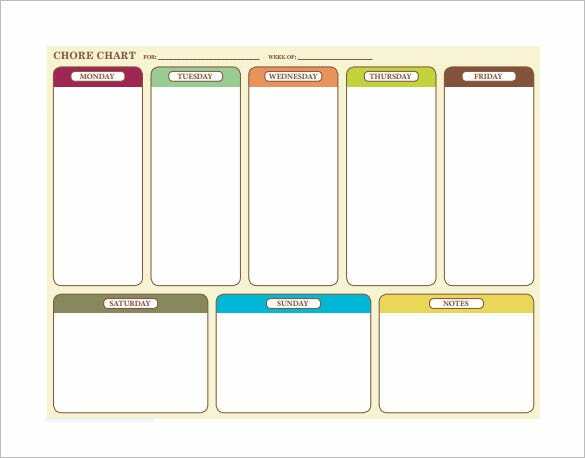 You may also see Color Chart Templates. 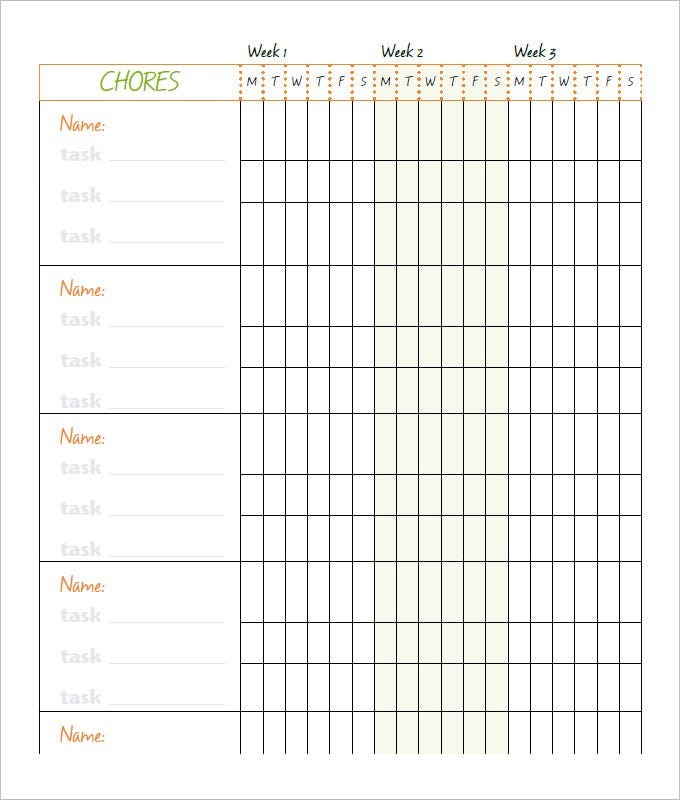 Family chores are often made when the members of a family are all busy and need some planning to keep things organized in the family.A free family chore chart template is designed based on the family’s necessity. 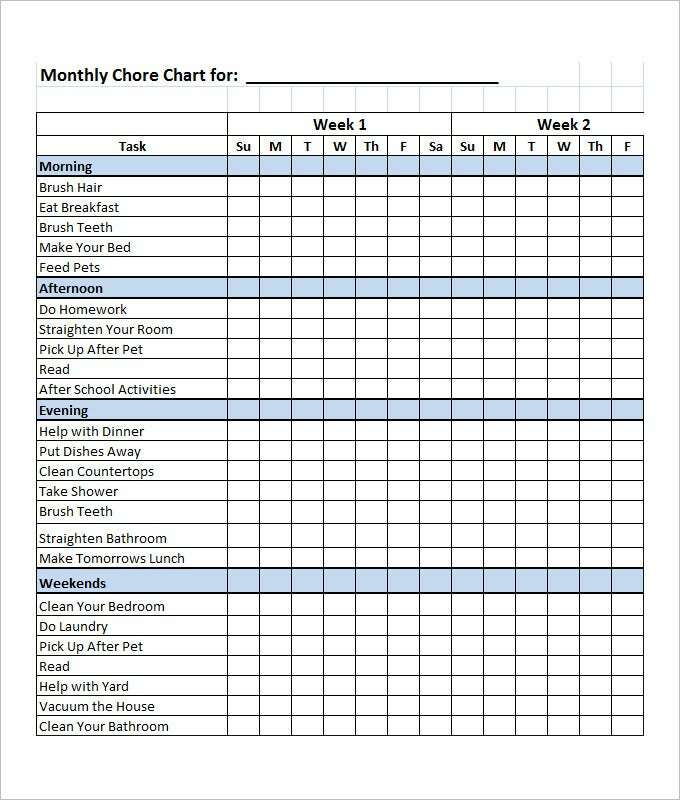 Before you free download one of the Free Chore Chart Templates that we have got, you should know what a family chore chart such as that is usually made up of. 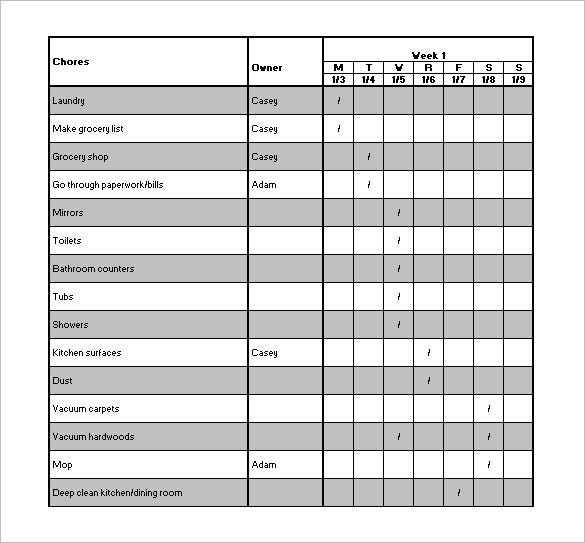 Here are all the components of a family chore chart template listed out.